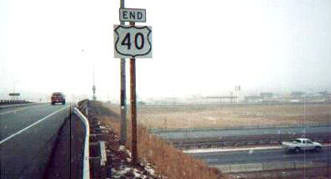 The east end of US 40 has been on the Jersey Shore since the US routes were first commissioned in 1926; more info on the Atlantic City page. 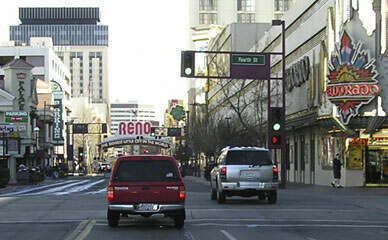 Originally the west end of US 40 was in Oakland CA. After ten years, the Bay Bridge opened to traffic, and US 40 was extended to San Francisco. Those historic endpoints are detailed on the Bay Area page. 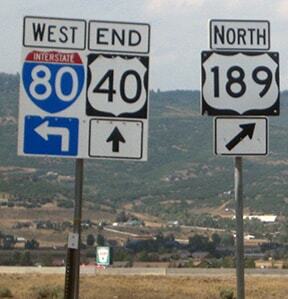 ...and in 2017 a reference to US 189 was added, which was an important milestone (for the reason why, see the US 189 page). 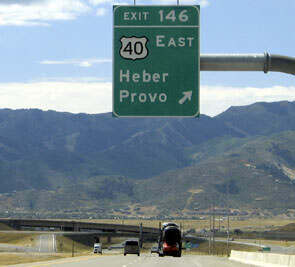 For the first ten years of its existence, there was a significant split in the route of US 40. West of Manhattan KS, "US 40N" followed what is now US 24 to Limon CO (until 1936). 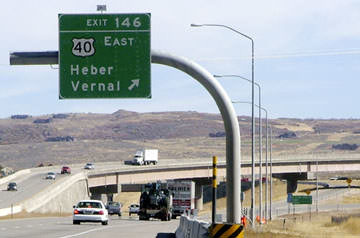 Today's US 40 follows what used to be "US 40S" between Manhattan and Limon. And it gets even more interesting: at Limon was the west terminus of US 40N, and US 40 continued west through Denver as it does today. But there was still a US 40S to the west of Limon*. 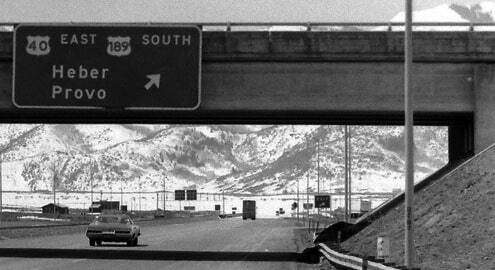 It followed what is now US 24 through Colorado Springs and to Minturn CO. From there, US 40S followed what would later become US 6 (better known today as I-70) to Grand Junction, where the designation ended at its junction with US 50. 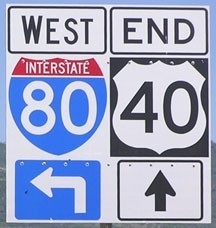 In other words, the west segment of US 40S did not reconnect with mainline US 40. More info can be found on the Grand Junction page. This situation lasted until 1935 or 1936; at that point, the US 24 designation was extended west of Kansas City along its present route. In other words, it replaced US 40N between Manhattan and Limon, and it followed the former US 40S from Limon to Grand Junction. 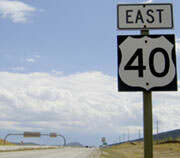 US 40S from Manhattan to Limon became simply US 40. * It remains unclear whether there were actually two separate routes called "US 40S" (each heading opposite directions from Limon), or whether US 40S was a single route, overlapped with US 40 along a four-mile stretch through Limon.